This has been long pending in my drafts and I finally decided to publish it today. Deborah Milano had launched these cream eyeshadows long back which are called Long Lasting Eyeshadows with Primers. 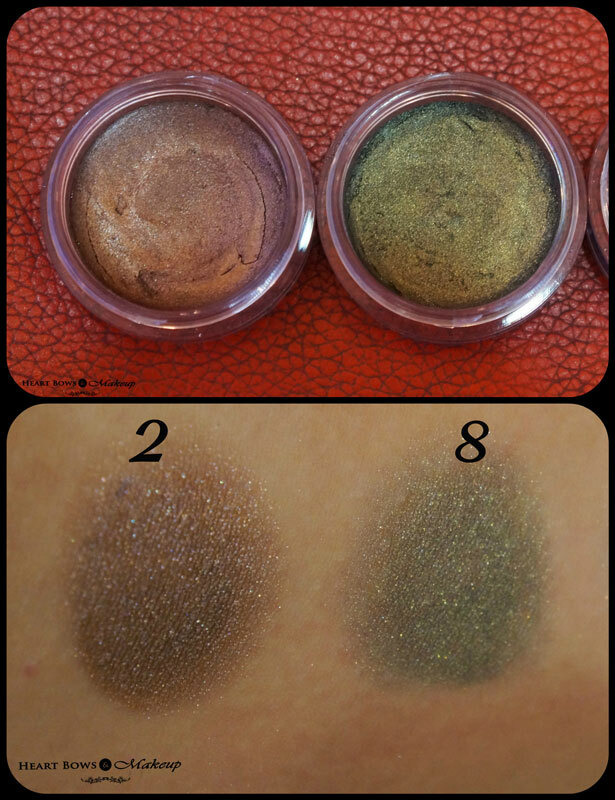 So these are basically eyeshadow bases which can also be used as cream eyeshadows! Its only recently that i got to know about them and got tempted to pick up 2 shades. The SA told me that there are 8 shades in the Deborah Milano Long Lasting Cream Eyeshadow Range however, I did see a few more shades online so I’m not really sure if I managed to swatch the full range or not. Anyway moving on to the swatches. 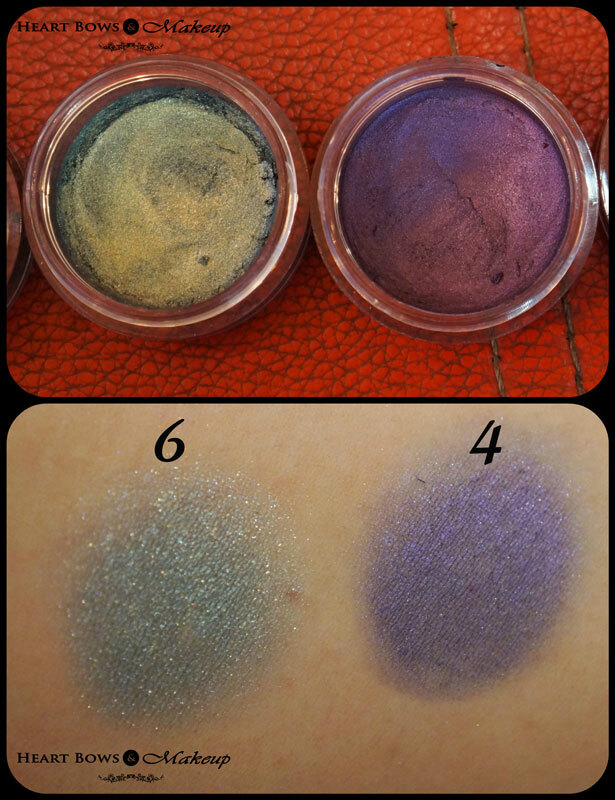 BTW the testers were a little dried up otherwise the shades are much more pigmented and vibrant. Deborah Milano 2 in 1 Long Lasting Eyeshadow With Primer 2 Swatch: A gorgeous bronze shade which will make a great base for many eyeshadows. This neutral color would go well with most ethnic wear and I couldn’t help pick this up instantly! Deborah Milano 2 in 1 Long Lasting Eyeshadow With Primer 8 Swatch: A shimmery olive green which looks really amazing especially on brown eyes. 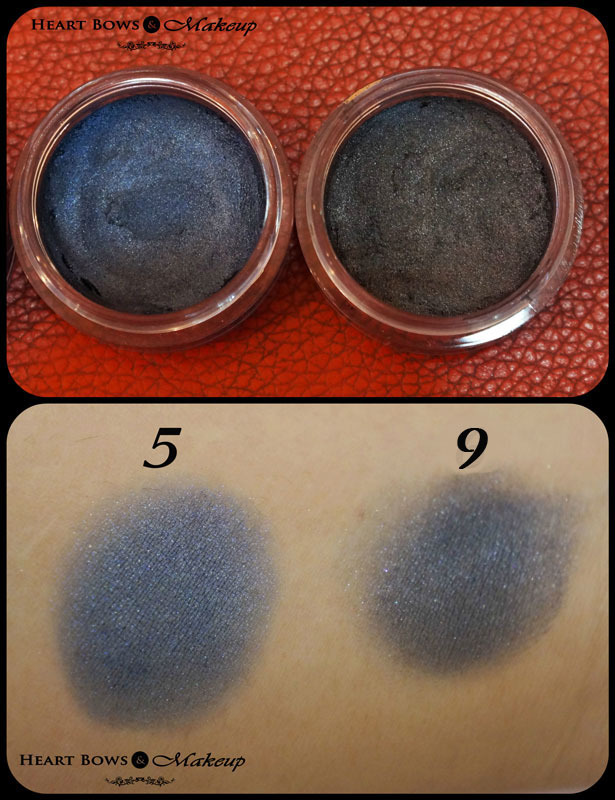 Deborah Milano 2 in 1 Long Lasting Eyeshadow With Primer 5 Swatch: A beautiful denim blue which is quite a versatile color and can be used in many ways. Deborah Milano 2 in 1 Long Lasting Eyeshadow With Primer 6 Swatch: A greyish-black cream eyeshadow with silver shimmer. I was extremely impressed with the texture and I prefer these over the Maybelline Color Tattoos because it does not dry up so soon and gives ample time to smudge and properly blend the harsh edges. Also, unlike the Maybelline Color Tattoos it does not give a patchy finish. 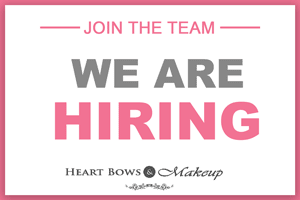 Most of the shades are quite pigmented and the rest are buildable. I highly recommend it!